The PSPL5370 Pick-off Tee is an ultra-broadband resistive coupler, which provides a scaled (5x or 10x) replica of signals passing through the tee. 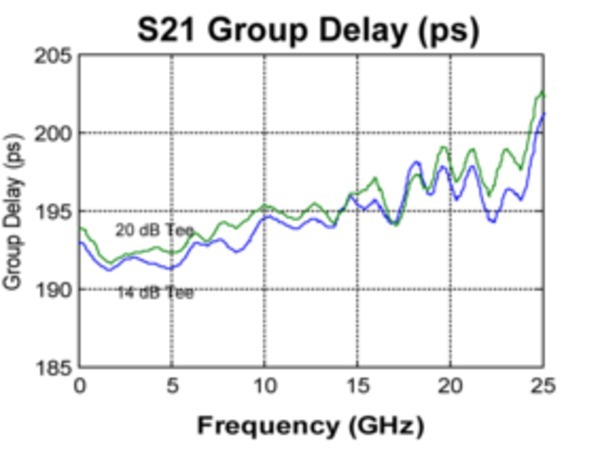 The device exhibits excellent through-line insertion loss and pick-off ratio stability for frequencies from DC to >25 GHz. 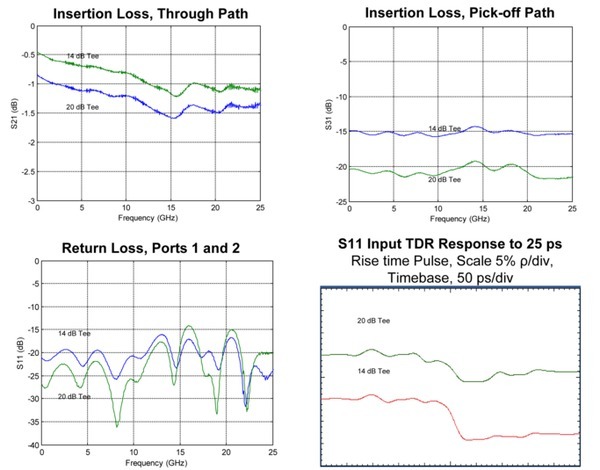 The PSPL5370 features good impedance match across a wide range of frequencies, with return loss typically >15 dB from 0-25 GHz. 1 All parameters listed are typical unless max/min guaranteed limits are provided. The DC specs are valid only when used with 50 Ω source and terminations.